Commercial Blinds UK have years of experience in the education sector having worked in 100’s of schools and universities throughout the UK. Our knowledge in providing tailored blind solutions for halls, classrooms, kitchens, science labs, offices and staff areas help us to advise the right window blinds for each school. We have experience in providing small and large school blinds to schools across the UK so you know you can trust us to provide the perfect solution for you. Contact us to discuss your school classroom blinds s requirements. We will assess the size, type of windows to provide a solution that meets your exact specification. Call us today to find the right blinds for your school/university! 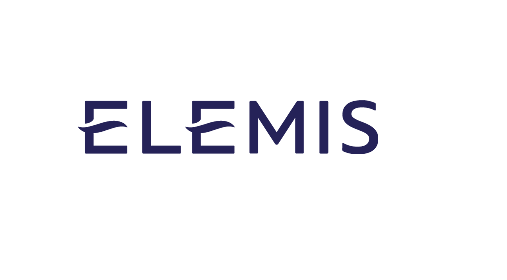 Take a look at some of our solutions that are perfect for educational sector. If you have a nursery, or premises where children under the age of 42 months are present or likely to have access you must install blinds which are compliant with the child safety requirements of BS EN 13120:2009+A1:2014. We advise the use of cordless systems in the education sector to reduce risk of accident. Inherently save blind systems include crank handle operation and remote control blinds. Our blinds use robust materials, which can withstand the wear and tear of pupils’ attentions. 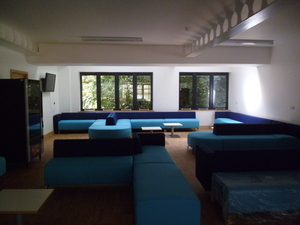 We are able to provide an after care service for all your existing school blinds and curtains. We work in and out of term time, to ensure your university blinds are installed with minimal disruption to teaching and learning. Our common room school blinds provide control over the amount of light you let into the room and are great for retaining heat within common rooms. We provide high quality hall blinds for schools that are available in various fabrics and styles to fit your requirements. 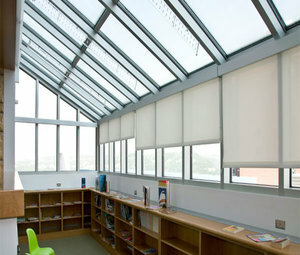 School classroom blinds allow full control over light and are child safe. 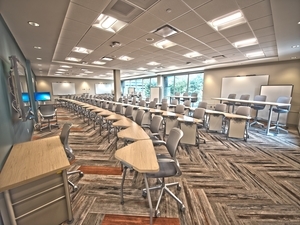 Electric classroom blinds allow easy operation in the classroom, allowing the blinds to be easily closed and opened automatically rather than manually. 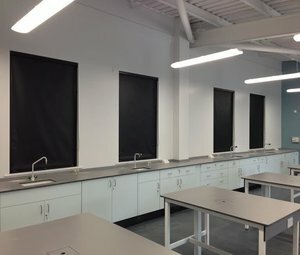 Our commercial blackout blinds for schools give simple style to classroom but are perfect for heat retention and blocking light from entering or leaving. Vertical blinds for schools offer superb control over how much light is filtered into a room. 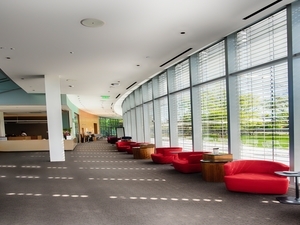 When closed they provide privacy and protect furniture and carpets from direct sunlight. Our small & large roller blinds for schools are perfect for controlling the amount of light you allow into the room. 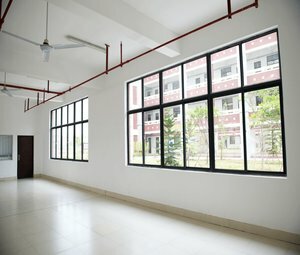 Our anti glare window blinds for schools include fabrics that are perfect for solar control and reducing glare on computer screens. We advise the use of cordless systems in the education sector to reduce risk of accident. Our blinds can be fitted to ensure they are safe for the curiosity of children. Classroom blinds fabrics range from screen fabrics which reduce solar glare whilst still preserving a view to the outside to conventional fabrics which provide privacy yet allow a certain amount of light transmission to blackout fabrics. We are suppliers and fitters of school blinds so we are sure to have the blinds to fit your requirements and style of your buildings. Our school blinds team work in a way that requires no disruption to daily operations. 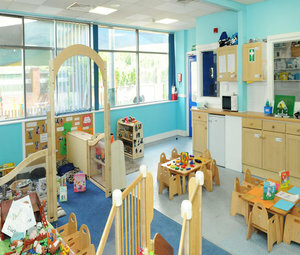 Each blinds project uses top quality, made to measure school blinds. Get in touch, our experts will source the perfect blinds solution for your nursery, school, college or university.